Jerry (Ryan Reynolds) lives alone with his dog called Bosco and his cat, Mr. Whiskers. He works in a factory that makes bathroom products and makes regular visits to a psychiatrist whom he tells his problems to, and Jerry has problems. Jerry hears voices, his cat and dog speak to him on a daily basis, but Jerry tries to get on with his life without that affecting him. When Jerry meets Fiona (Gemma Arterton) at the office party, he thinks he may finally have a chance at normality. However when Fiona stands Jerry up after they make a date, things take a turn for the sinister and slightly bizarre. 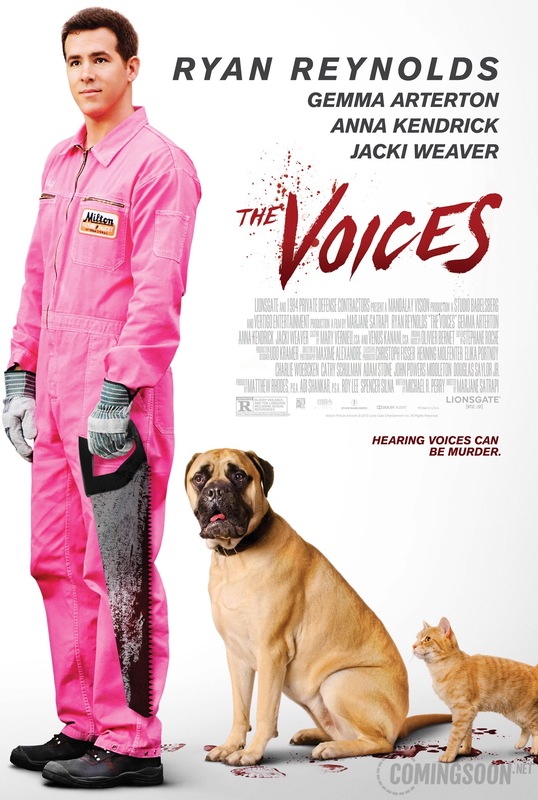 My problem with The Voices is it tries to balance horror and comedy, but fails miserably. Its wild shift in tones make it hard to enjoy, and the film doesn’t really flow. 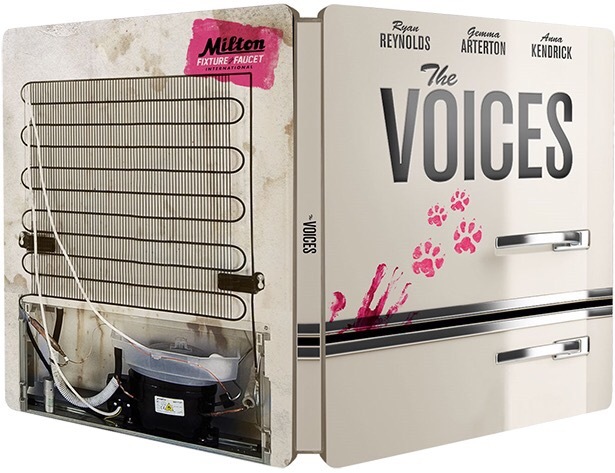 Where films like Shaun of the Dead managed to seamlessly mix horror and comedy, The Voices jumps between the two rather than have them work harmoniously. Ryan Reynolds is good in the role of Jerry, and also in doing the voices of Bosco and Mr. Whiskers, but the film just can’t recover. Do you hear The Voices too? 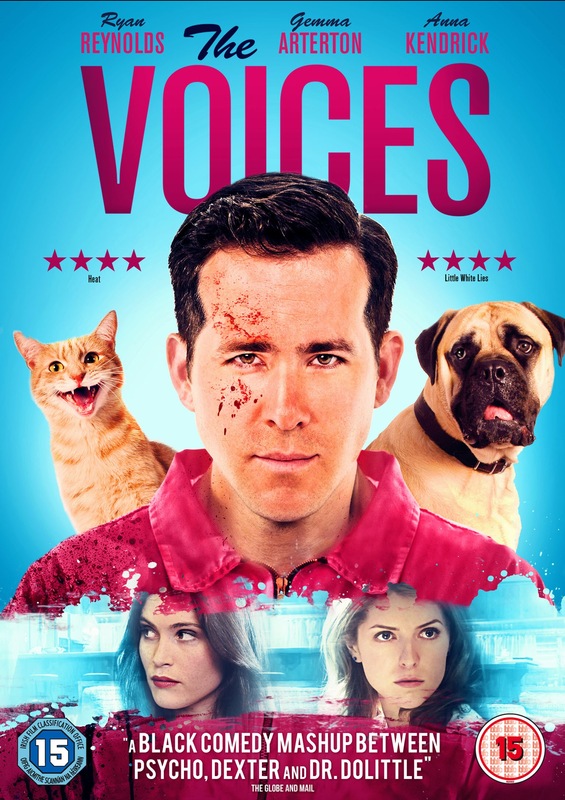 Arrow Films is pleased to announce the DVD, Blu-Ray and Steelbook (the latter exclusive to Zavvi.com) release of horror-comedy The Voices starring Ryan Reynolds, Gemma Arterton and Anna Kendrick on Monday 13th July. I’m definitely picking this one up and I shall also be reviewing it very soon, so stay tuned.